The proposed model’s design. Credit: Khamparia & Choudhary. Accurately predicting the arrival times of buses is of key importance, particularly in hectic urban environments. Providing people with efficient and timely transportation can discourage them from using private vehicles, consequently reducing both fuel consumption and traffic congestion. Researchers at Lovely Professional University (LPU) in Jalandhar, India, have recently developed an artificial neural network (ANN)-based model that can predict bus arrival times by analyzing historical GPS data. Their method, outlined in a paper published in Springer's Pervasive Computing: A Networking Perspective and Future Directions employs ANNs and radial basis function (RBF) techniques to predict bus arrival and departure times by analyzing data collected using GPS technology. "In this work, artificial neural networks (ANNs) and radial basis function (RBF) have been applied to data collected through GPS," the researchers wrote in their paper. "Real-time prediction of bus arrival time has a number of applications for cargo delivery, transit services and areas of logistics." ANN-based models could greatly enhance the performance and efficiency of current transportation systems, enabling more accurate arrival time predictions. In their study, Aditya Khamparia and Rubina Choudhary, two researchers at LPU, set out to develop a model that can predict bus arrival times with minimum error, which could significantly reduce passenger waiting times. Their research was carried out in seven key steps. First, the researchers identified factors that affect bus arrival times, such as speed, road conditions, traffic, distance between different stops, time spent to let passengers on/off the bus and weather conditions. They then mapped the route of the bus and its organization. 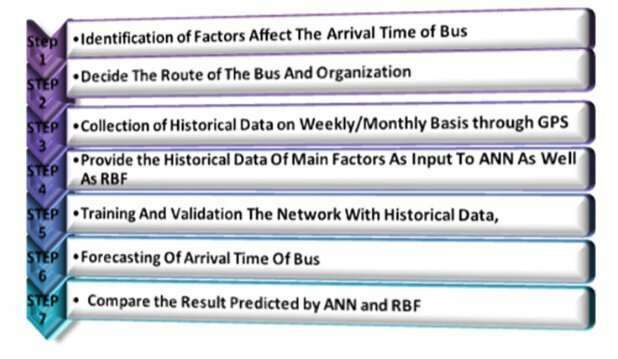 Consequently, the researchers collected historical bus data on a regular basis using automatic vehicle location (AVL) systems. They specifically used GPS receivers that were interfaced with GSM modems placed inside the university buses. Khamparia and Choudhary fed the data collected to both a feed-forward back-propagation algorithm (BPA) and RBF, training them to make predictions about future bus arrival times. Finally, they used these two models to forecast bus arrival times and compared their performance. The researchers trained and evaluated these methods on two specific bus routes, that from Amritsar to the LPU campus and vice versa. For each model, they calculated the mean absolute error (MAE), which essentially measures the difference between the target time and predicted time, and root-mean-square error (RMSE), which measures the average magnitude of the error. They observed that the RBF model had far lower MAE and RMSE values than the BPA model. These findings suggest that RBF techniques are more effective than BPAs at computing bus arrival times in the presence of unpredictable factors. "While the results are encouraging, there are still a number of extensions to the model that should be studied," the researchers wrote in their paper. "In future work, researchers could propose a new scheme that can compute the real-time predictions of bus arrival or departure time, such as variability in passenger demand at any given bus stop, traffic congestion measures, signals including progression, delay due to traffic congestion or accident, incident information etc."